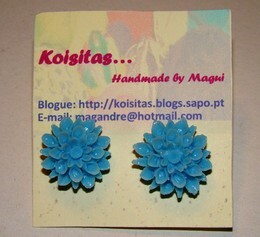 Conjunto anel e brincos em tons azul celeste. Neste conjunto foram utilizadas florinhas de resina vintage. 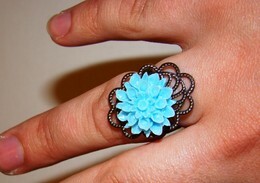 Set ring and earrings in shades of blue. 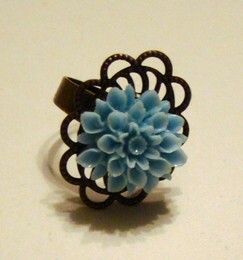 This set used vintage tiny flowers.